It is American Craft Beer Week and I hope everyone is celebrating with your locally brewed beverages. I love to cook with beer, there are so many different flavors and it can easily be substituted in any recipe that calls for wine or other alcohol. It make a great marinade for beef and adds a heartiness to vegetarian dishes. I used a brown ale in this recipe which pairs well with beef, my local favorites are Cigar City’s Maduro Brown and Dunedin Brewery’s Beach Tale Brown. You could certainly use any brown ale English or American style though. Some other examples are Brooklyn Brown, Dogfish Indian Brown, or even a Newcastle ( but it is American Craft Beer Week) If you are using a stronger beer with a higher alcohol content you may want to use less beer and more broth in the recipe. You want it to enhance the flavor of the dish not over power it. Peel and boil potatoes until tender. 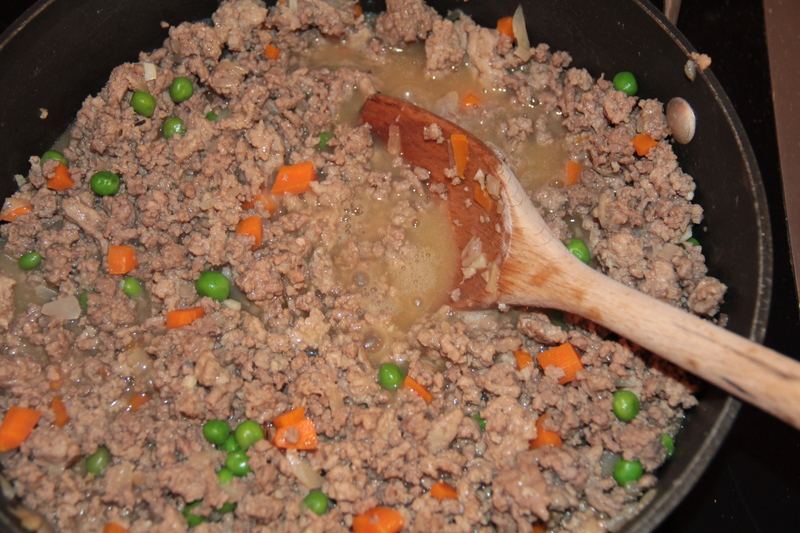 In a large pan saute carrots, garlic and onion with a tablespoon of butter for about 3-4 minutes over med high heat, add the ground beef and brown until no longer pink. Add salt, thyme and pepper. Turn the heat to low and sprinkle with flour, stir and cook for 1-2 minutes until flour is absorbed into meat mixture. Add Beer and broth bring to boil and then reduce heat to low and add peas. Cook for about 5-7 minutes or until it starts to thicken. Remove from heat. 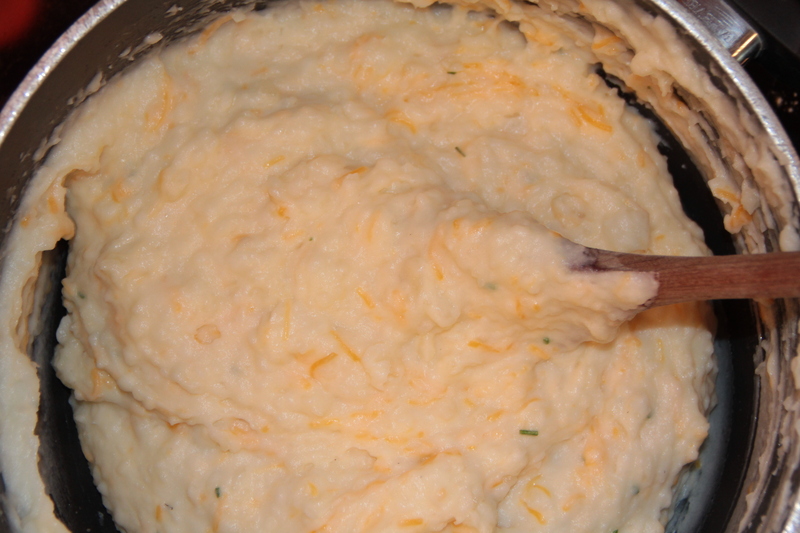 In a bowl combine cooked potatoes, 3T butter, and milk, mash or use and electric beater to make mashed potatoes. add one beaten egg, 1/2 c of cheese and chives. 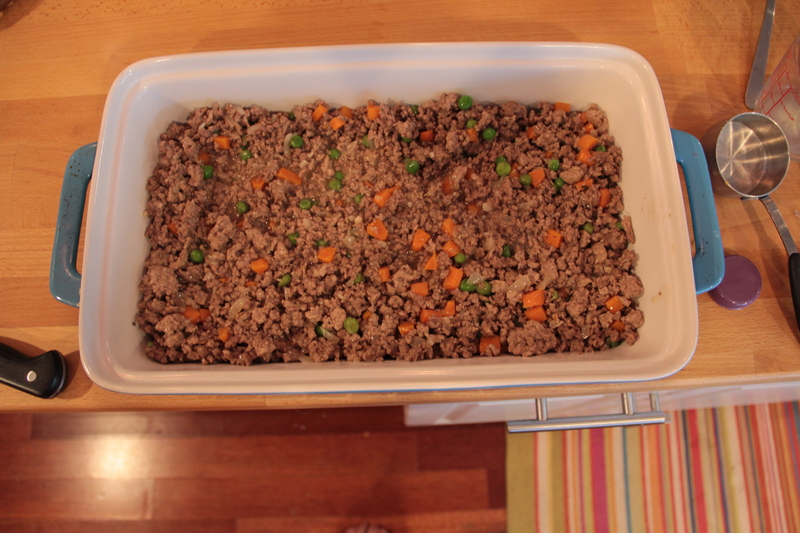 In a large 9×13 pan, pour the meat mixture evenly on the bottom. 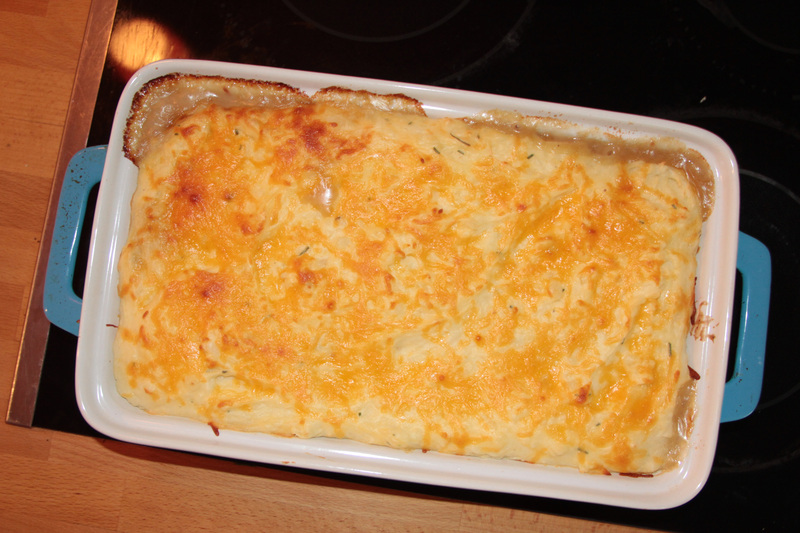 Spread the potato mixture on top and sprinkle with remaining cheese. Bake at 350 for about 35 minutes. 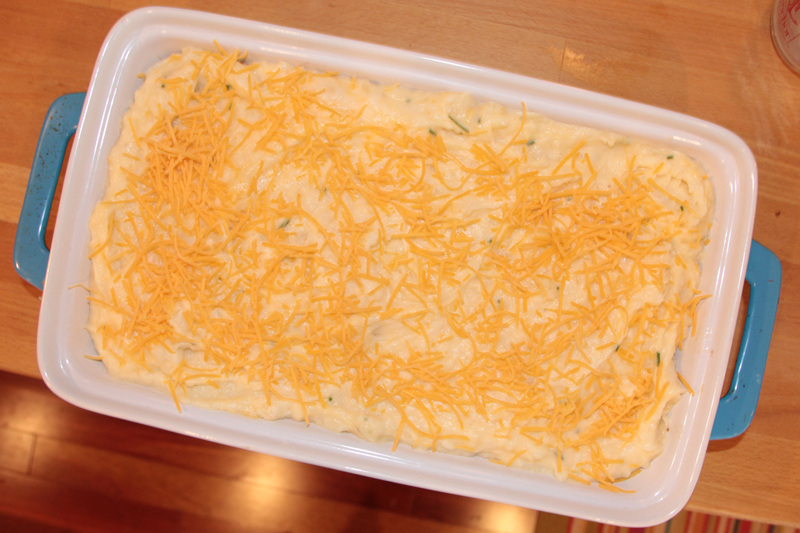 remove from oven, let sit 10 minutes, and serve. I love cooking with beer too! I don’t do it enough though 🙂 Thanks for igniting the inspiration again!